Step 1. 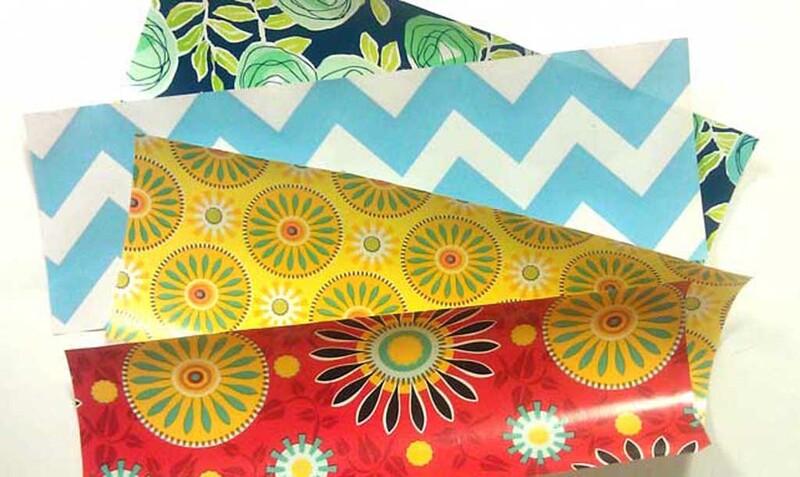 Choose a few pieces of decorative paper, and cut into strips measuring 4-1/4″. Step 2. 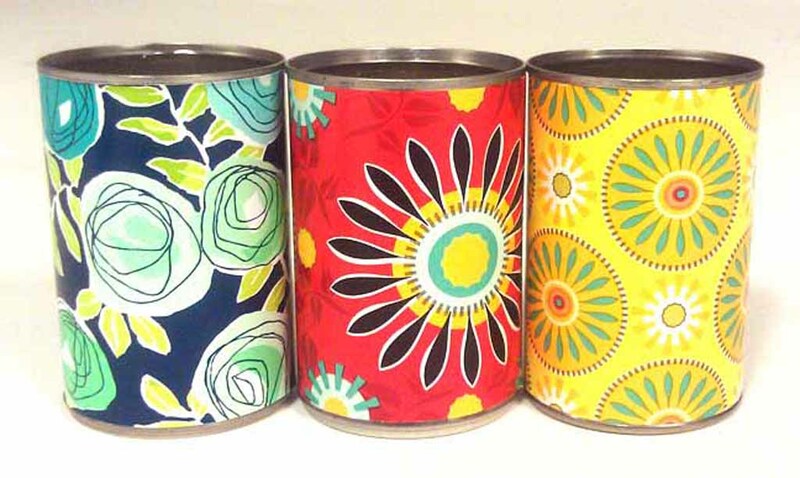 Clean and peel off labels of recycled cans. Step 3. Wrap the paper around each can and glue ends together. 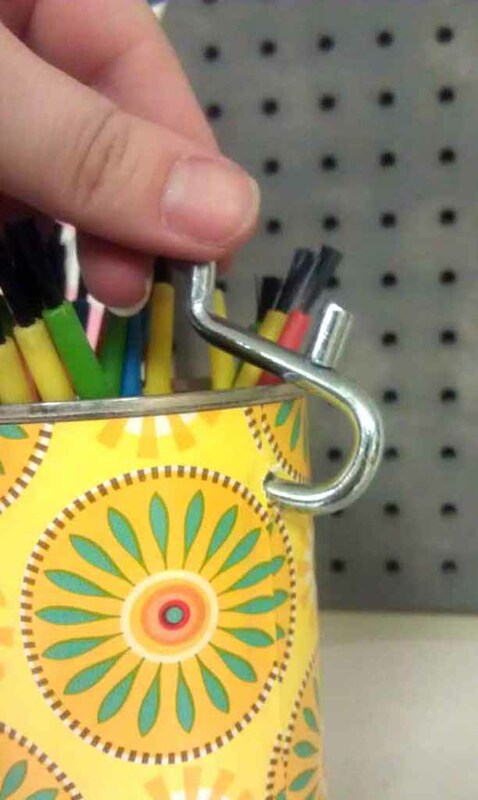 Set cans aside. Step 4. 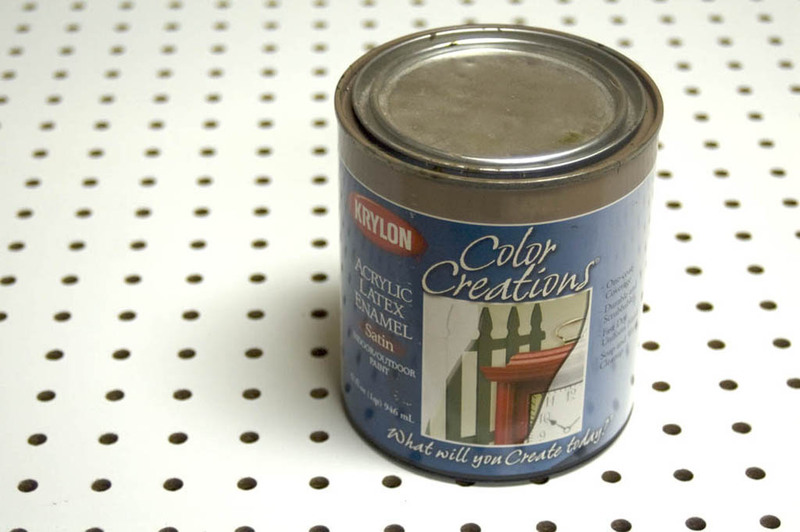 Choose any color paint you would like for your pegboard. 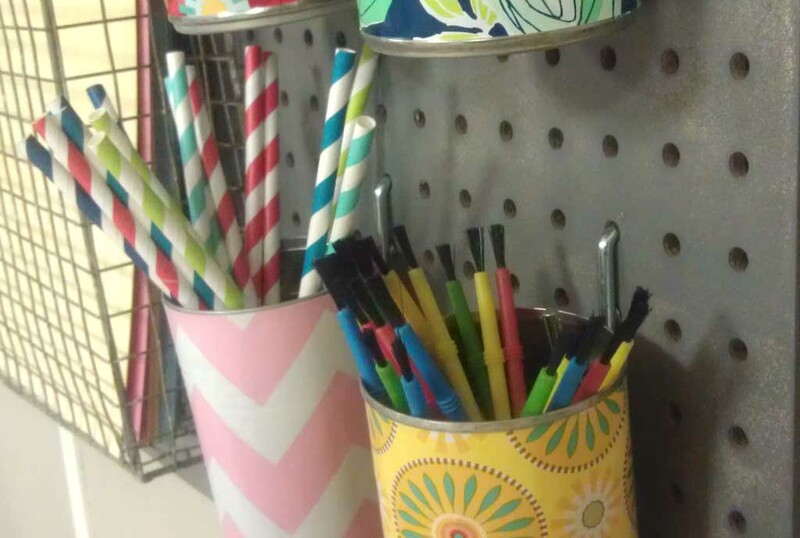 Paint the pegboard pieces with a brush or roller and let dry. Step 5. 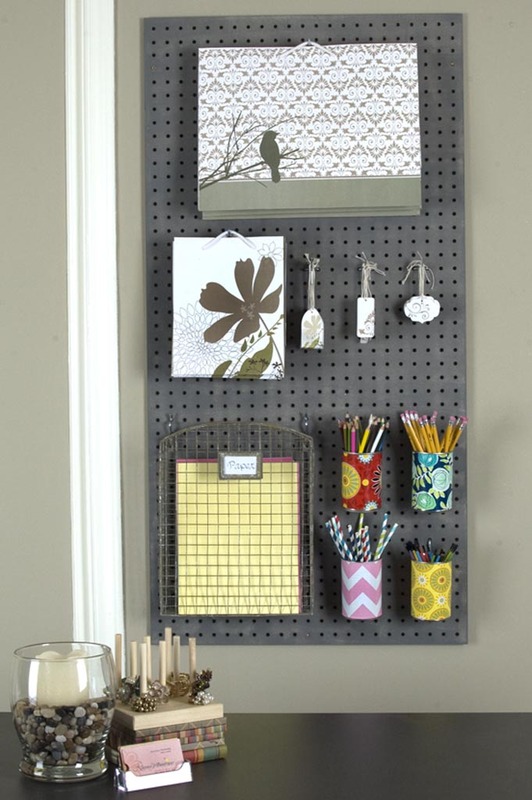 Hang the pegboard on your wall. Be sure to leave at least a 1/4″ space between the board and wall. This will make it easier to attach accessories. Step 6. 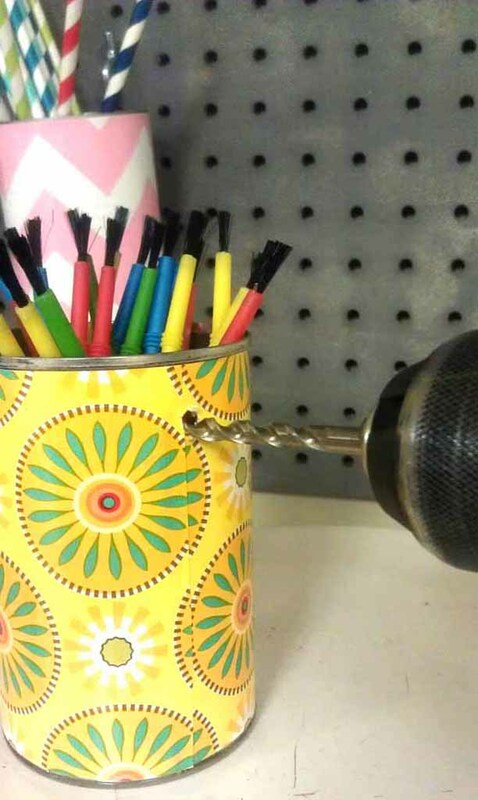 Drill a hole on the backside of the cans. Step 7. 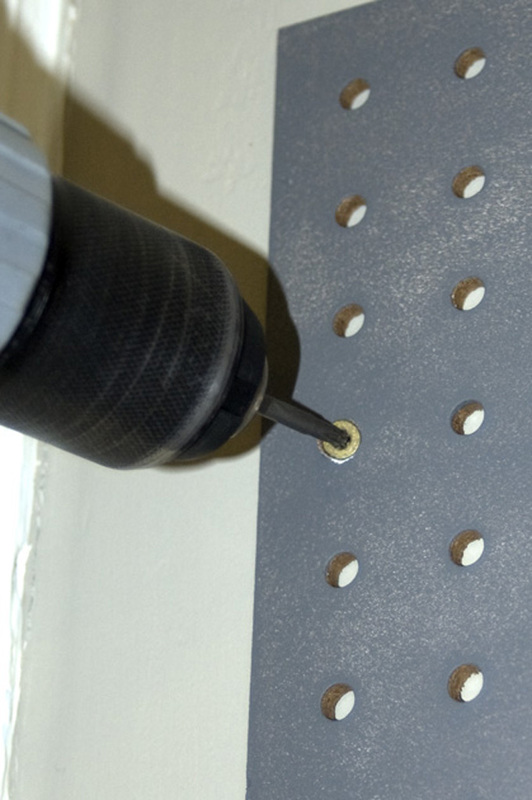 Slide your pegboard hook through the hole and hang on your pegboard. Step 8. 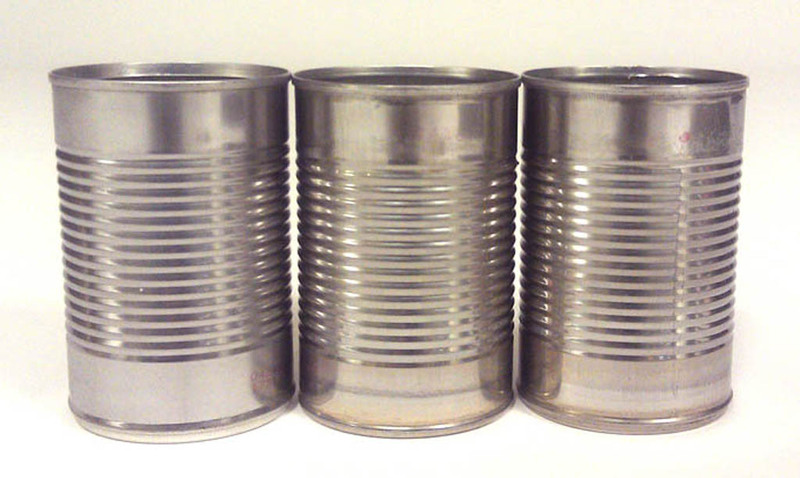 Fill the cans with whatever items you would like. Here is my final wall!